No matter where you are in life, we have a health insurance plan that will fit your health care needs, as well as your budget. How do I choose the health insurance that´s right for me? Use the links above to view rates on our various health insurance plans. 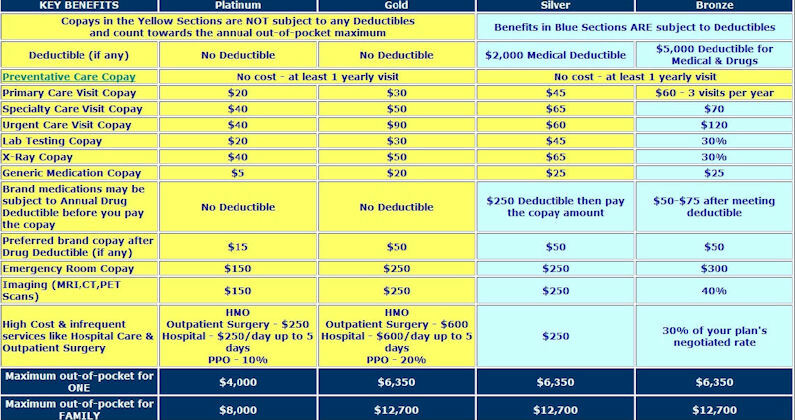 Consider which ones offer the affordability and coverage that is right for you. Plans that provide greater coverage tend to have higher monthly premiums. Depending on how often you visit the doctor and other factors, you may desire a lower monthly premium or you may want to opt for a health insurance policy that offers more coverage. We have access to 120 insurance carriers representing more than 11,300 plans nationwide. Here are some of the Health Insurance Companies we represent. We now offer Dental & Vision Insurance coverage for individuals & families. Our insurance plans feature free choice of dentist for individuals, small groups and senior citizens. You also receive comprehensive individual Vision Insurance Benefits from Vision Service Plans (VSP) with no deductible, no waiting period and your choice of eye care providers. 1. Because things happen: Even if you are healthy right now, you could be caught off-guard by an unexpected illness or injury. 2. Because it helps protect your $$$: Did you know that without health insurance, you could easily pay thousands of dollars a day in the hospital? Health care coverage can help protect you against the high cost of unexpected medical bills. 3. Because it can give you peace of mind: Health coverage not only helps you stay healthy, it can also give you added security and peace of mind because you know you're covered if you get sick or hurt, or in case you need prescription drugs, surgery or emergency care. Welcome to Barricks Insurance Services. We have specialized in individual & family health insurance & small business group health insurance planning since 1969. When you request your free Health Insurance Quote Online, you will receive Health Insurance comparisons and Health Information immediately. You can compare health plans prices and benefits side-by-side, choose from a large selection of affordable health insurance plans and apply online within minutes. We also offer individual and group Vision Insurance Plan Quotes, individual and group Dental Insurance Plans, individual and small group Life Insurance. We offer a wide variety of health plans including individual and family health insurance, small business group health insurance, HMOs, PPOs, POSs, HSAs, HIAs, short-term health insurance plans, dental insurance, vision insurance, Specialty Group Accident Medical Insurance, Life Insurance and international travel health insurance. Compare Health Insurance Quotes Medical Insurance plans to find the most affordable Medical Care Options that meet your needs.